With arm bent at 90°, measure from the middle of the neck across the shoulder and down to the wrist. Measure from the start of your neck down to your natural waistline. Measure from the lowest part of your crotch area to the hem. Measure your foot from one tip to the other. If after measuring your foot and consulting the table you find that you are between two sizes, you must opt for the larger size. An inky Navy palette with distinctive Windowpane overcheck, the Morgan suit offers a striking alternative for work and evening wear. 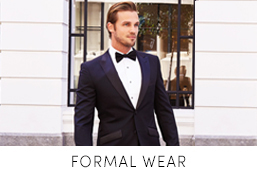 Fitted on our Milan cut, the shoulder is narrow while tapered trousers feature a mid-high rise waist. The jacket is fully lined with a half canvas chest piece, for a natural drape and is completed with a notch lapel and duel vent back for comfort. 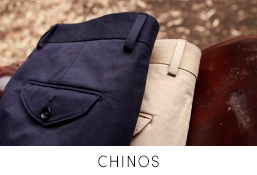 Featuring a sharp crease through the leg, the flat front trousers have a concealed hook, bar and zip closure and finished hems. 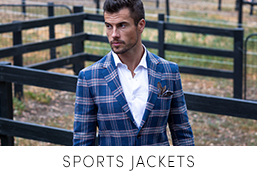 A great option to wear as a sports jacket only. Inspired by the latest trends in Europe, our Milan Cut utilizes soft shoulder construction and subtle roping in the shoulder a European profile. A slimmer fit and modern cut give rise to a sleeker silhouette. Trouser: Drop 12 with medium rise. E.g. 100cm Jacket, 88cm Trouser. 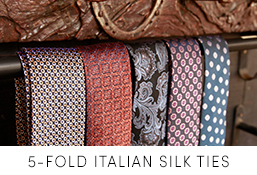 Pure certified Australian Merino Wool, Woven in Italy. Your inbox just got a whole lot better: You will now be the first to know about new arrivals, exclusive sales and private events. 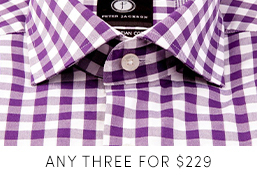 Remember to add info@peterjacksons.com to your address book so our emails don’t get blocked. What countries does Peter Jackson ship to? We currently deliver to Australia with free standard shipping. Express post is available upon request at an additional cost.Shipping to New Zealand is available for $30 with the shipping payment arranged post transaction. 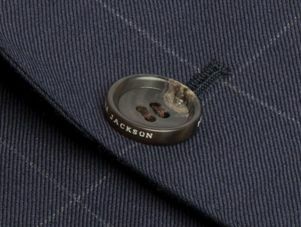 For international shipping please contact us at sales@peterjacksons.com. How long does it take to ship my goods once purchased? 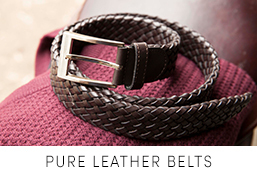 Orders can take between 3 – 5 business days to be dispatched. All orders are dispatched from our head office in Melbourne. If your Peter Jackson purchase does not meet your expectations, you can return the item in its original and unused condition, with tags attached, within 30 days of purchase. Returns and exchanges must be sent to our head office in order to be processed. Please ensure the garments are packed properly to prevent damage as they are your responsibility until they arrive at our office. It is recommended that you use a postal service that insures you for the value of the items you are returning or alternatively obtain proof of posting. Further information on the return process will also be provided in your order. Once approved, returns take 2 - 4 business days to process. Are Peter Jackson gift cards valid online? You can redeem our physical & e-gift cards online and at any Peter Jackson store Australia wide. How long do I have to use my Peter Jackson gift card? Your Peter Jackson gift card is valid for 12 months from the date of purchase. 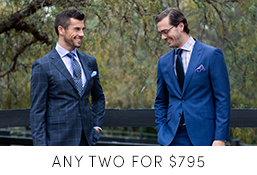 Do you offer personal tailoring to online purchases? We unfortunately cannot alter your online purchases before shipping them. However, to guarantee the perfect fit for you, we recommend bringing your garments to a Peter Jackson store so we may advise you on the recommended alterations. What are the payment methods Peter Jackson accepts? How can I resolve a problem with my order? Please contact us online at sales@peterjacksons.com or by phone on 9415 6281 between 9 - 5pm Monday to Friday with any enquiries you may have and we’ll endeavour to get back to you as soon as possible. We are closed on weekends. Please ensure to include your order number when enquiring about an online order. How can I join the Peter Jackson team? Please find all information pertaining to starting a career with Peter Jacksons here. How do I find out my suit size? Your over-arm shoulder width from shoulder to shoulder. If you’re still unsure about your measurements, please feel free head into one of our stores to get your measurements taken. Short, Regular & Long Suits Explained. Our coat and pant length is based on height. A short is generally used on people under 170cm, with sleeves up to 32 in. 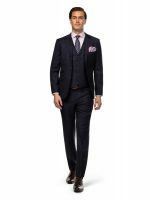 A regular is generally for people between 172cm and 180cm, with sleeves of 32-33 in. A long is generally for people between 182cm and 187cm, with sleeves of 34-36 in. We will always aim to deliver online orders within the allotted time frame from dispatch to shipping, however we cannot promise an exact date of delivery at the time of purchase. We shall always aim to inform our customers if we expect that we are unable to meet our estimated delivery date, but, to the extent permitted by law, we shall not be liable to you for any losses, liabilities, costs, damages, charges or expenses arising out of a late delivery. Before you confirm your order, please double check the shipping details as we are unable to make changes once your order has been processed online. Once your order is processed you will receive a confirmation email. This will be received by COB on the date of purchase. If your order is placed outside of standard operating hours (weekends, public holiday or after standard operating hours), the confirmation email will be delivered by COB the following business day. The confirmation email will only confirm the that your order has been processed and will not include an estimated time of delivery or a tracking number. A tracking number will only be received at the time of dispatch. Dispatch refers to when your garments leave our Distribution Centre. On the day of dispatch, you will receive an email confirming that your order has left our Distributions Centre. This email will contain your Australia Post Tracking Number, which can be used on the Australia Post Website. •	Orders can take between 3 – 5 business days to be dispatched. •	Orders are not dispatched over the weekend or Victorian public holidays. During heavy trading periods, there are times where we may need to source your garment order from stores across our network, which will delay dispatch. In this case our Customer Care team will contact you via email to inform you of the expected delay. •	You will receive an email at 5pm EST on the day your order has been dispatched. 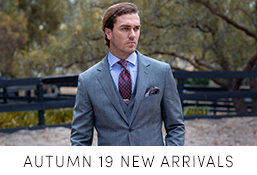 •	All orders are dispatched from our Victorian Head office, Abbotsford, Melbourne. •	Please be aware, Dispatch period does not include standard shipping times. •	Melbourne Metro – expect delivery 1-3 Business Days from Dispatch. •	All other capital cities – delivery is between 3-5 Business Days from Dispatch. •	Regional Australia – allow a little longer, 5-7 Business Days from Dispatch. • Metroplitan Cities (Australia) - Guaranteed 1-2 Business Days from Dispatch. • Regional Australia – 3-4 Business Days from Dispatch. We currently ship internationally to New Zealand only. A customer care representative will contact you via phone or email to process this additional charge. PLEASE NOTE: THE ONLINE CHECKOUT WILL PROCESS VIA AUSTRALIA POST ECONOMY AIR FREE SHIPPING. THIS WILL BE CHARGED AT $30.00 AUD. •	All New Zealand – expected delivery 7-10 business days from dispatch. •	Orders in AUD which are equivalent to NZ$200 shipped to New Zealand may incur GST, customs charges and duties charged by the NZ Customs Service once the parcel reaches its destination port and must be paid by the recipient directly to the NZ Cus toms Service or its authorised service provider. Peter Jackson Pty Ltd. is not responsible for and will not reimburse any of these charge and duties. •	Customs charges and duties are the responsibility of the Customer and will not be refunded by Peter Jackson Pty Ltd. There are limited times when only the duty and GST can be refunded to you by the NZ Customs Service. You can track your Standard, Express or International parcels via the Australia Post website. As a registered customer you will receive a tracking number in your dispatch confirmation email. If your parcel hasn't arrived in the estimated time period, please refer to the Australia Post website here to see if delivery of your parcel has been attempted. Peter Jackson Australia Pty. cannot accept responsibility for delays, damages or loss of orders following handover to Australia Post. Our stock levels change frequently and there may be some garments only available online for a limited time. If the size you are after is not available online, simply contact our Customer Service team (03 9415 6281) and they will do their best to track the right size down for you. There may also be times where a garment purchased via our website is not available in our online warehouse when we come to dispatch. In this case we will do our best to source the garment from one of our stores and email you about this within one working day of your order. •	Drop the parcel at your nearest post office. We ask that you cover the cost of the return. •	Once we have received your return parcel we will be in touch with an update on the return process.